There are many weird fruits you probably never heard about before. Here’s your guide to 10 weird fruits and vegetables from around the world. It’s a small, green fruit. 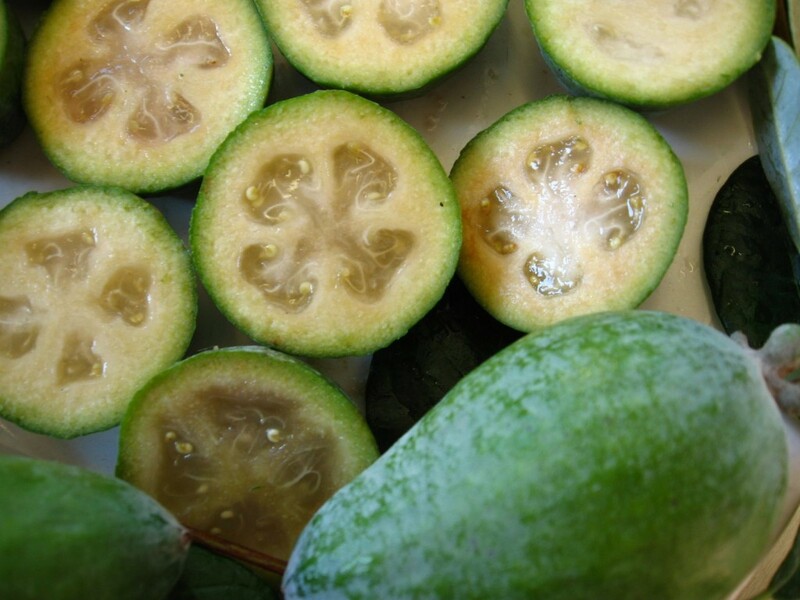 It’s also known as the pineapple guava. It’s usually used in juices. A fruit known for its odor – it really stinks and makes you stink when you eat is. However, it’s worth trying. 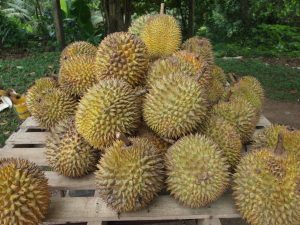 I can recommend dried durian which doesn’t stink and tastes like nice potato chips. 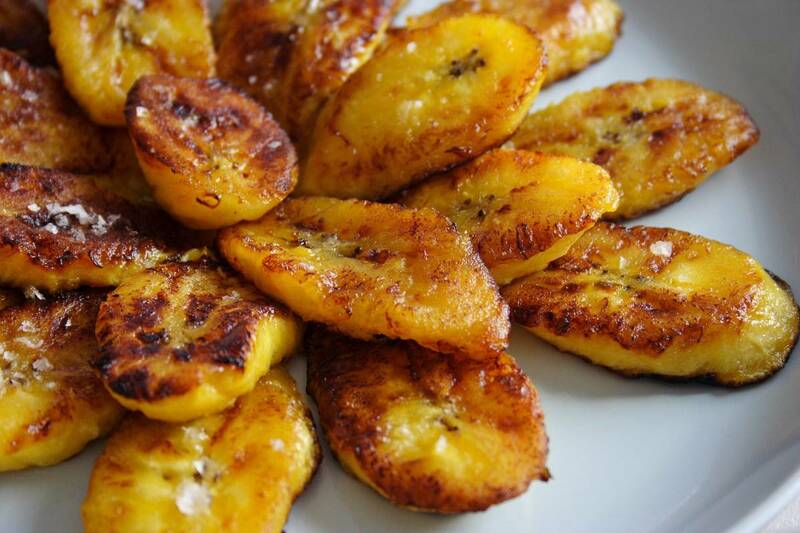 Plantains are a type of bananas, although softer and bigger. In norther parts of South America, such as Ecuador, Peru, or Colombia, there are used as an ingredient of every meal. They can be fried, scrambled and baked. This fruit’s inside is white and creamy with many dark brown seeds you’re not supposed to eat. Mark Twain called it the ‘most delicious fruit known to men’. 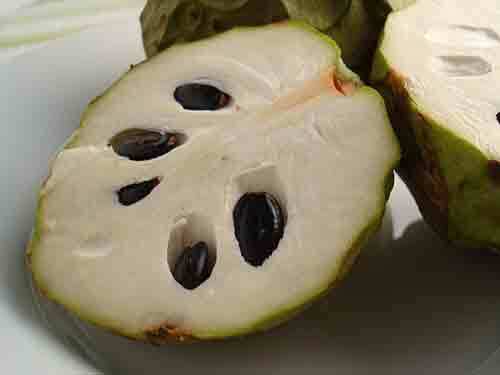 Known as custard apple, cherimoya is eaten for dessert. This funny looking fruit in Vietnam is called chom chom, what basically means messy hair. The inside tastes like lychee, It’s usually used as a dessert or ingredient of alcoholic cocktails. The pink on the outside and white on the inside fruit has a light, delicate flavour. Some compare it to a pear with crunchy black seeds like a kiwi. It'[s eaten as a dessert or with seafood, Personally I dislike it, however it looks very presentable as a decoration. This unknown a few year ago fruit is currently quite popular in Europe. This oranged skin round fruit, grew originally only in Israel till it spreaded to Western Asia. It’s ompared to tomato with a cross of melon, peach and banana. It’s often confused with Kaki, which is not sharon fruit. This weirdly looking purple fruit opens only by itself when riped. However, it’s only riping for 2 weeks in autum. In Japan, as country’s national fruit, is often used an an ingredient of various warm dishes. I guess I don’t need to introduce a coconut to anyone. However, a young coconut is excellent for grilling when wrapped in a long grass. My favorite, however I’m not sure if I should classify it as a fruit. 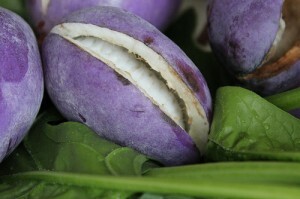 Taro, popular in Southeast Asia, is mostly known as an ingredient of bubble tapioka teas. 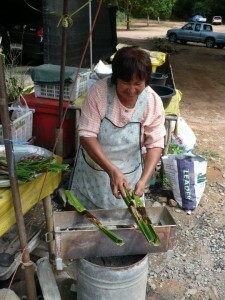 Although, taro is also used as a filling of buns or waffles. Chirimoya! I was addicted during my year in Chile, so delicious! I can definitely see why 🙂 Best fruits ever! Have you tried jackfruit? My father discovered it while living in Mexico and I tried it recently here in the states. I liked it! Hmm… Interesting! I’ve never heard of it (even after over 2 years in Mexico). Where in Mexico? He was in San Luis Potosí but I’m not sure whether it’s a local fruit or he just happened to have it there. Ok I just looked it up and it’s actually native to south and Southeast Asia. Also found in Brazil. If you ever get a chance, you should try it! There is a variation in México called Chaya, it is usually used for flavoured water and as a complement in quesadilla’s dough… really good!!! There is variation of the fruit in Mexico that is called Chaya (as Mathew said, most commonly found en el bajío). 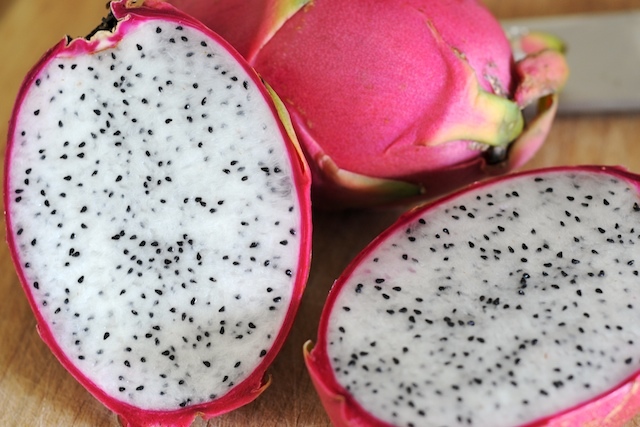 Just as a fun fact, the dragon fruit in Mexico is called Pitahaya…. Cherimoya is so good! Another fruit from S.America (I had it in Chile) is lucuma. It tastes like caramel! 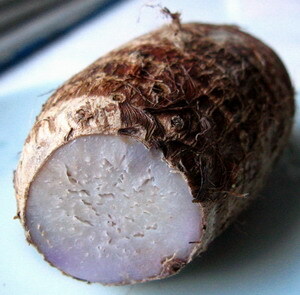 Taro is a root crop and not considered as fruit. it has different varieties. some you can bake for dessert that even mcdonald’s made taro pies in asia. 🙂 Some are added to soup like in the Philippines, we use is at part of our local dish called Sinigang or sour soup broth which is also served in Thailand but different version. 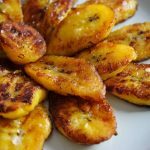 It can also be fried like plantains with caramelized sugar. 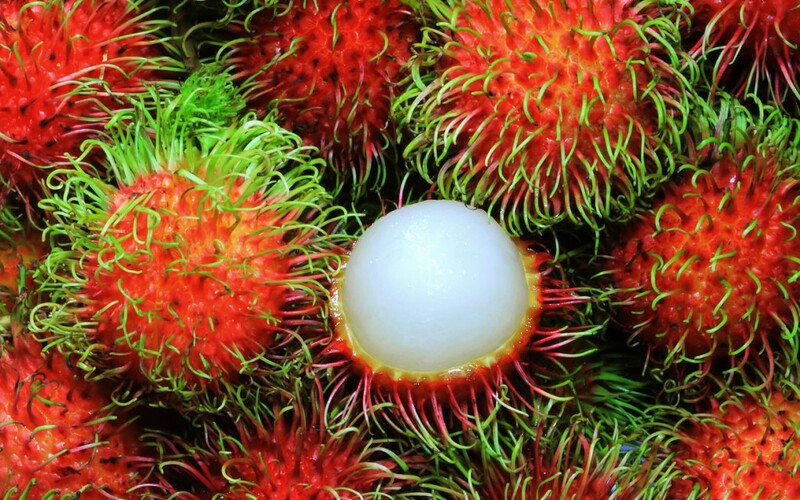 We basically lived off rambutans (chom chom) while in SA Asia! Delicious & cheap stuff! Hehe same here, food in Asia was making me sick all the time, but fruits were so yummy! have feel good in your content the best. Article have good on cyber world. There’s a red variant of dragon fruit that is much sweeter than the white ones. In hotel buffets, you always see in the fruit section, people will stand and wait for the red ones to be replenished, then clear them up within seconds, leaving the white ones on the trays. There is also a golden (skinned) variety that is very sweet and tasty. It is also very expensive. I found the golden ones at the 99 Ranch Markets (Indonesia), and most recently at the Carrefour Gourmet in Rabat (Morocco). The ones I have seen, and eaten, have been smaller than the white and red varieties. Another “weird” fruit worth trying is snake fruit! I don’t consider mangosteen a “weird fruit,” but they are delicious. I love them. Fruit in SE Asia is great. I’ve heard of a few of these, but not all of them. Akebi looks really interesting. It’s too bad it’s only ripe in the fall since I’ll be in Japan this spring. Hmm… I wonder if you picked one if it’d ripe on its own later like a banana.